Mutual learning and improving education at the heart of CSR partnership. 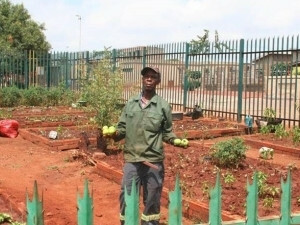 Hitachi Data Systems (HDS) South Africa has partnered with Mashemong Primary School in Tembisa for a corporate social responsibility (CSR) project with a difference. 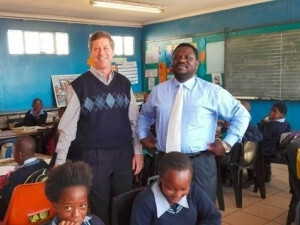 Through the Partners for Possibility programme, HDS Client Services Manager, Elmor van Staden, and Mashemong principal, George Madzhadzhi teamed up in February this year for a year-long partnership to exchange skills and knowledge and find ways to improve the primary school. "Partners for Possibility pairs up people in the business world with school principals and takes both of you through National Qualification Framework (NQF) Level 5 certified management training," explains Van Staden. "This seemed like a unique way to upskill, as well as to learn from someone in a different industry, not to mention a great opportunity to give back to the community." 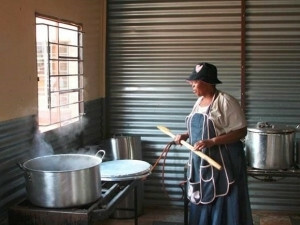 HDS got on board with Van Staden and Partners for Possibility by encouraging staff to volunteer at Mashemong. In addition, the company has made monetary donations to further develop the school. 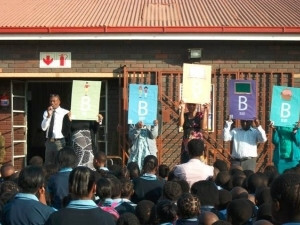 Along with attending workshops and coaching sessions, Van Staden and Madzhadzhi identified several priorities for the duration of their partnership, including discipline, skills development and the need for counselling at Mashemong Primary School. Madzhadzhi is now beginning to implement new learnings with the help of Van Staden and HDS. The first of these is "the 5 Bs" - Brain (open your brain and think for yourself); Buddy (ask a friend if they know they answer); Board (look for the answer on the board); Book (open your book and find the answer); and Boss (ask the teacher). 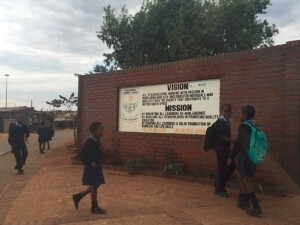 Van Staden explains: "With 1 200 attending the school, classrooms tend to be overcrowded, so it's difficult for the teachers to maintain discipline and control, especially when the children have a lot of questions. We launched the 5 Bs to try to reduce the number of questions so teachers can get through the work. 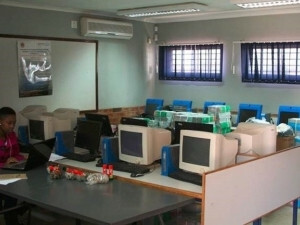 It will also encourage collaboration and accountability among the learners." Beyond this, Partners for Possibility also facilitated a partnership with educational expert, Robin Booth, to adapt his online training for Mashemong's staff. Once a week the teachers are shown a video, the learnings of which they must apply in the classroom before sharing their feedback in a follow-up session. "The whole idea is that teachers need to be taught skills to deal with challenging situations," says Van Staden. On challenging situations, Van Staden also shares that he is in discussions with LifeLine to develop a programme he hopes will go beyond Mashemong to take trained counsellors into schools countrywide. Van Staden plans to continue the relationship with Madzhadzhi and Mashemong after the year-long Partners for Possibility programme ends. "George and I have already committed to working together beyond the programme, especially because some of the initiatives we are starting this year will take time to achieve." Madzhadzhi comments: "Our partnership has changed my life for the better. My leadership abilities have also been enhanced as a result of us learning and working together." Van Staden ends: "It's been a very successful partnership thus far, and it's not something I've done on my own - the whole of HDS has an emotional link with the school and the staff get involved wherever they can. There is also a lot George can teach us from his experience as a principal. The learnings we have gained already have been tremendous, because at the end of the day while we might come from different backgrounds, the principles of managing people effectively are the same."